TAGES DRM (removed in Patch 2.5). 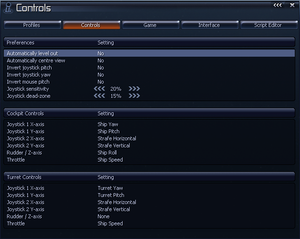 The Aldrin Missions release uses TAGES Solidshield DRM. X3: Albion Prelude. Sold as a standalone app. Also received a boxed standalone release. 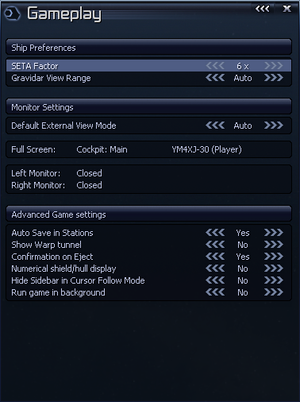 Add /skipintro to launch options to disable the intro video. The option /noabout skips the launcher and starts the game directly. 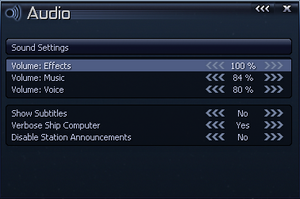 To improve loading times, this mod replaces the default menu background with a simple star field. This section may require cleanup to meet basic quality standards. The specific problem is: wrong formatting and complete nonsense. You can help by modifying the article. The discussion page may contain useful suggestions. Configurable from 70° to 90°. 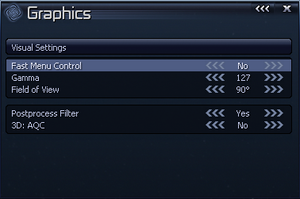 Only certain resolutions configurable (same as for fullscreen). 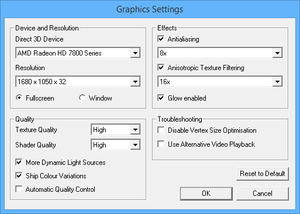 AA is disabled in windowed mode. Only available in fullscreen mode. In the DirectShow control tab, there's a section called "Don't use ffdshow in:". Make sure the adjacent box is checked. To the right of the checkbox is a button which says "Edit...". Click on it. Add x3tc.exe to the list of blacklisted executable. In certain versions of ffdshow, there is no "Edit..." button to the right of the "Don't use ffdshow in:" checkbox; instead, there is only a text box containing all the blacklisted executables. You'll need to manually type in x3tc.exe into the box, ensuring a semicolon is added immediately after the last executable in the list (before you add x3tc.exe). 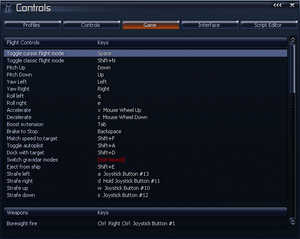 While in-game, hover over the Options button. 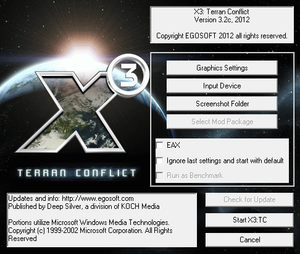 From the menu which appears, select Gameplay. From the window which appears, set "Run game in background" to "Yes". Exit the window and resume gameplay as normal. 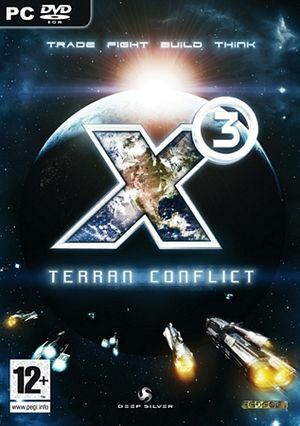 For documentation and discussion of issues with the Linux ports of Terran Conflict and Albion Prelude, refer to this thread on the official EgoSoft forums. ↑ X3:TC Forums, "How to disable ffdshow"
This page was last edited on 30 March 2019, at 06:25.